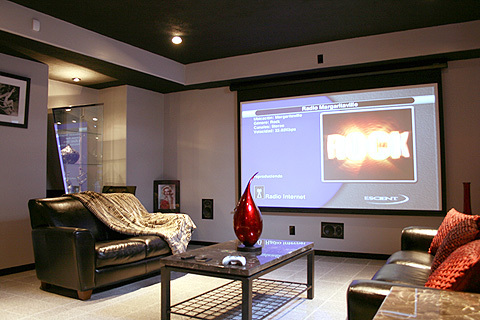 We specialize in home theater and audio video integration for the Omaha metro area and use high quality equipment. We use only high quality home theater equipment. AVS installs high quality audio equipment and home electronics for single room or multi-room music enjoyment. AVS secures your business or home and provides you monitoring on-site or via the Internet. We integrate both residential and commercial phone and intercom systems and data wiring. Custom AVS is proud to use high quality equipment from trusted brand names. We service the Omaha metro area and surrounding communities. Welcome to Audio Video Solutions. Located in Omaha, NE, AVS is a full service audio video design and installation company. We design, install, and support custom home theaters, multi-room audio/video distribution systems, whole-house structured wiring, computer network wiring, audio equipment, home electronics, security systems, and more. AVS is licensed and qualified to assist you in all of your home theater and custom installation needs. We are serious about quality and performance, and it is reflected in all of our efforts. With a down to earth approach, we work with our clients to educate, collaborate and to reach the full potential of their home theater, video, audio equipment and home electronics needs. Give us a call at (402) 502-9016 or use our online Contact form.